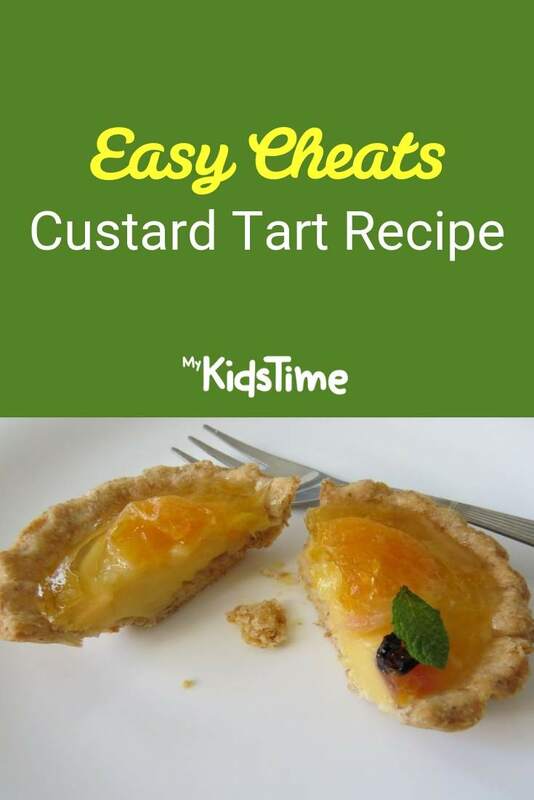 Looking for an easy Custard Tart Recipe? Here’s one from Caitriona at Wholesome Ireland. This isn’t a unique recipe, it’s not exactly a Portuguese Custard Tart. It stemmed from Mam telling me that she loved cold custard, and then I had pastry left over from making the Sausage Rolls the other day, so the custard tart evolved by using the custard from my Trifle Cake recipe. Just to explain, I’m brutal at making a classic cream custard with no stabiliser. Milk is cheaper, and if you use cornflour to thicken and stabilise the eggs then it also bakes well. The chances of your custard curdling or going lumpy is much reduced which then saves you money and time! Dry beans or rice for blind baking. Preheat your (fan) oven to 200 degrees C.
Roll out the pastry on a clean, flat surface (using flour to dust the surface and the rolling pin) to 5mm thick. Using the knife cut the pastry to pieces slightly larger than the mini-tin you will be using. 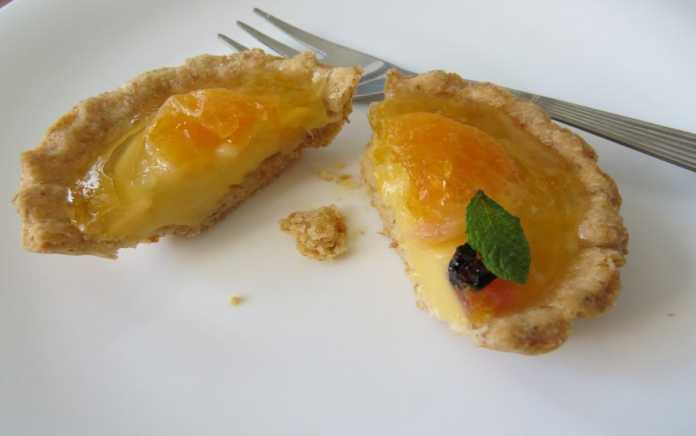 I get 6 muffin sized tarts from this recipe. Grease your tins by spraying with the low calorie spray oil first. Press the pastry gently into the tins. Then using the fork pierce the base of the pastry. Cover the pastry with greaseproof paper and fill with beans or rice. Pour the milk into the saucepan along with the vanilla extract and heat slowly until scalding but not boiling. In the small bowl combine the egg yolks, sugar and cornflour. Don’t throw out the egg whites, you can use them later for meringues, macarons or macaroons. Once the milk is hot start whisking with the bell whisk and pour in the egg yolk mixture. Keep on whisking until the egg custard starts to thicken. It will become very thick. This is what you want as you need it to be fairly thick for the tarts. The last thing you want is to cut the tart and to have the mixture slide out. Pour the cooked custard into the large bowl to cool a little. At this stage the tart bases should be cooked enough. Remove from the oven & carefully lift out the paper & filling of rice or beans. Put the filling away to cool. Once it has cooled you can reuse the filling for another blind baking recipe so put it in a dry sealed jar. Spoon the custard into the pastry cases. You can fill them close to the top as some of the liquid volume will turn to steam in the oven so they shouldn’t bubble over. Sprinkle the top with muscovado sugar. Return to the oven for a further 15 mins baking at 200 degrees C.
Allow to cool a bit before serving or otherwise you’ll burn your mouth. Delicious served cold or warm with some fresh summer berries on the side.